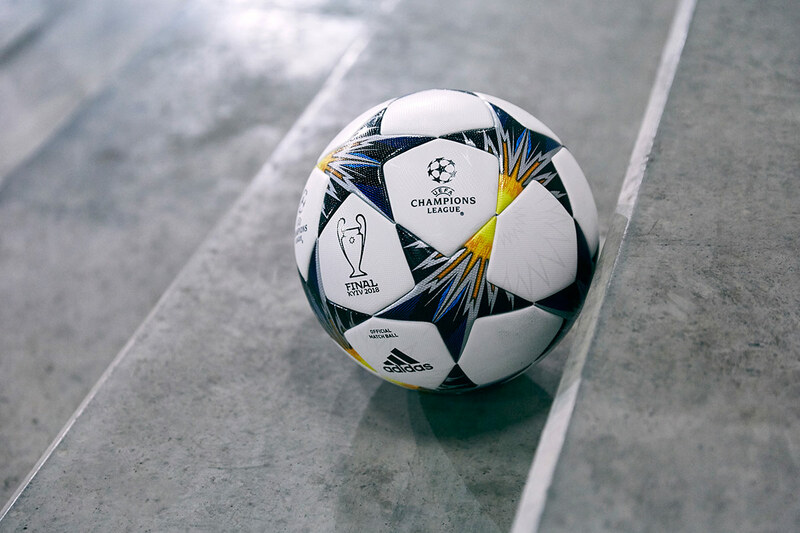 adidas Football Reveals Official Match Ball of the Knockout Stages of the UEFA Champions League. 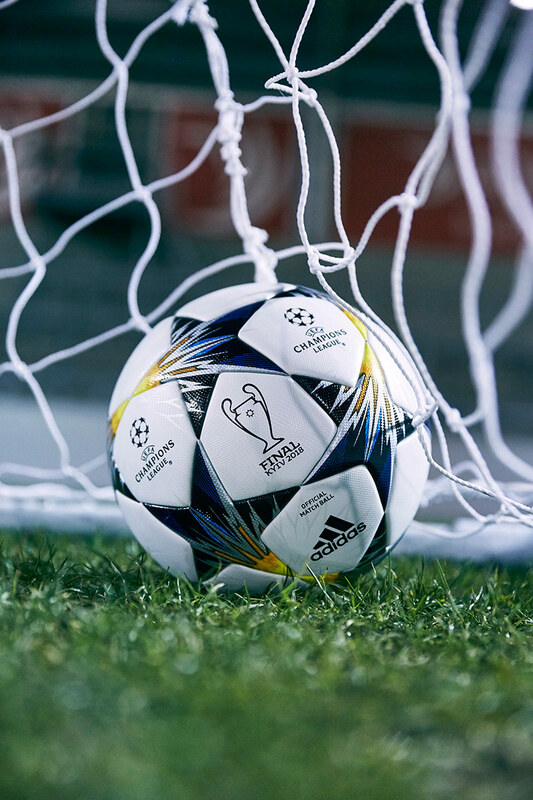 With the UEFA Champions League moving into its crucial final stages, adidas Football today revealed the new Official Match Ball to be used by Europe’s best teams during the knockout stage of the competition. 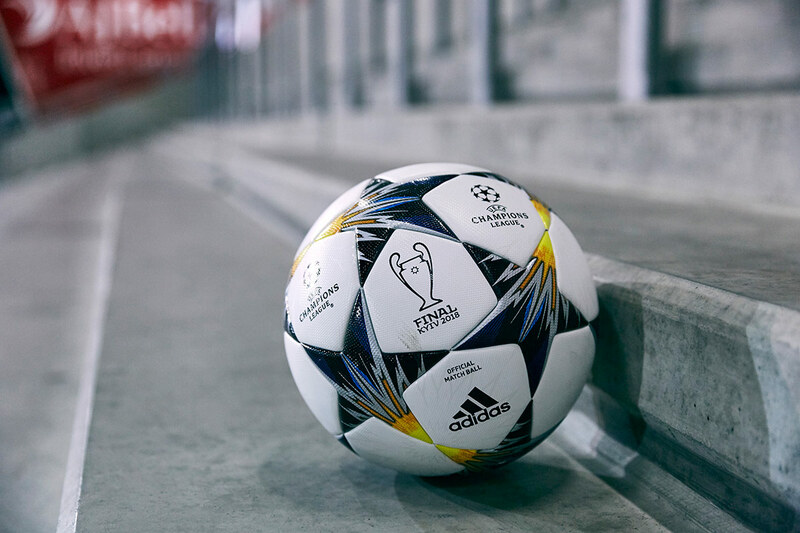 The Official Match Ball continues to feature the established star-panel design that has become a feature of adidas UCL Official Match Balls, inspired by the UEFA Champions League Logo. 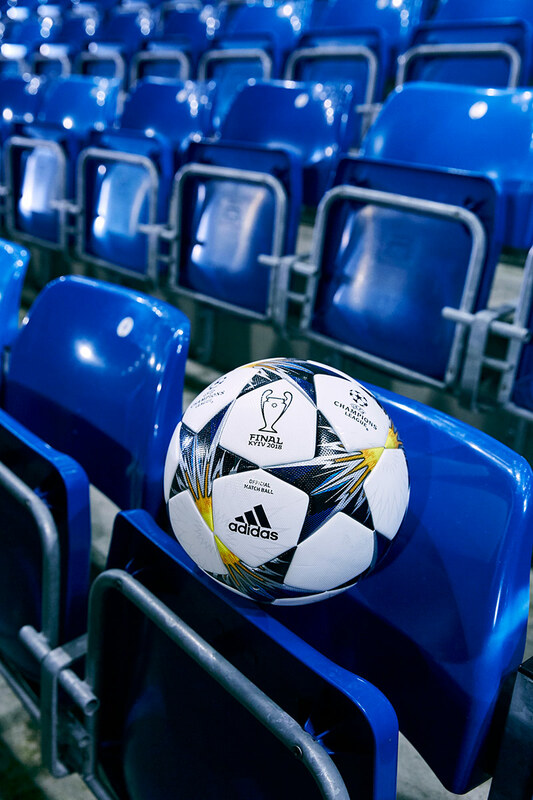 The knockout stage version of the ball features a striking pattern design, inspired by the stadium roof, and a blue and yellow colour scheme that takes inspiration from the colour of the seats at the Olympic National Stadium in Kiev where the final will take place. 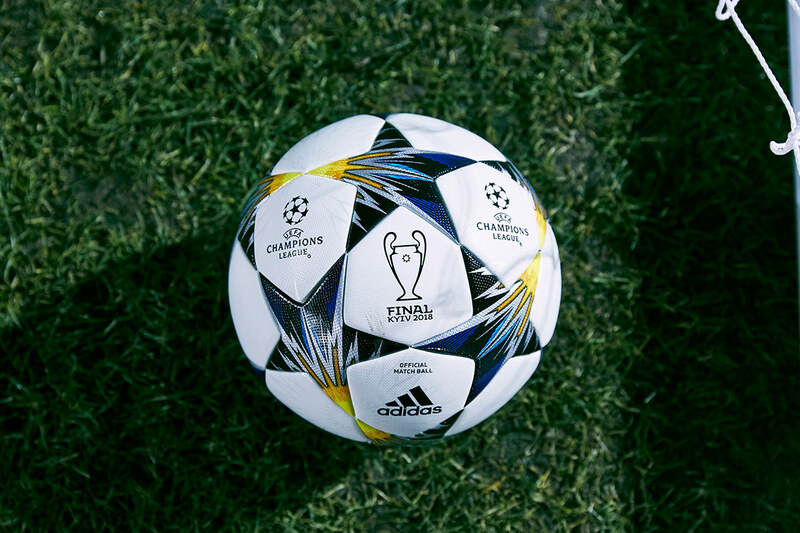 The ball is designed to allow the best players to perform in any conditions. 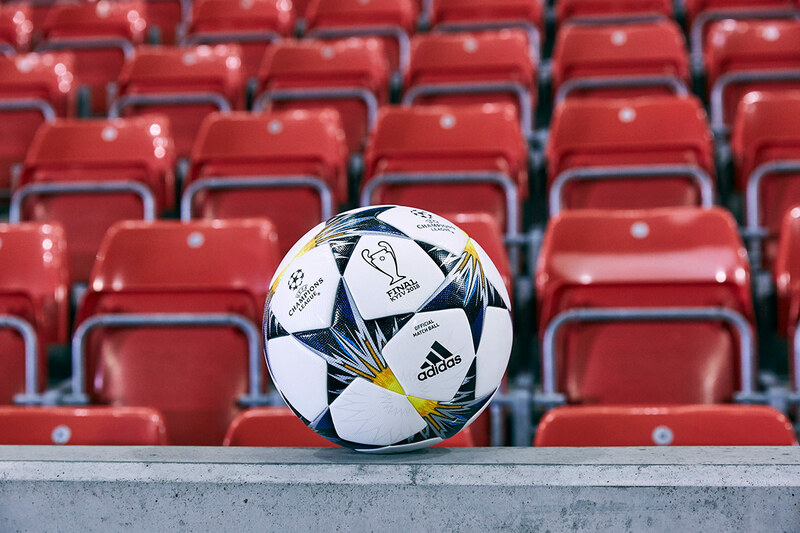 The outer texture coating – consistent across all adidas UEFA Champions League Official Match Balls – delivers secure grip and total control while thermally bonded star panels provide a seamless surface and an improved first touch. 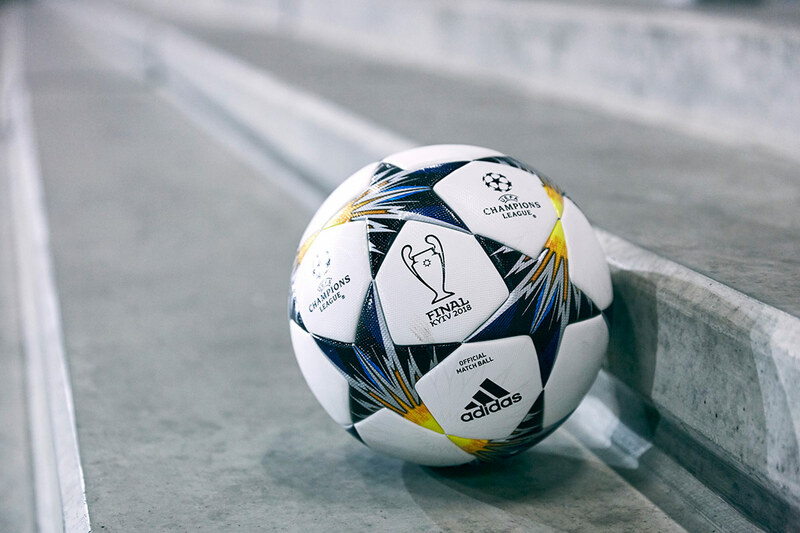 The new adidas Football UEFA Champions League Official Match Ball will be used for the first time during the last-16 of the competition, starting on Tuesday 13th February. 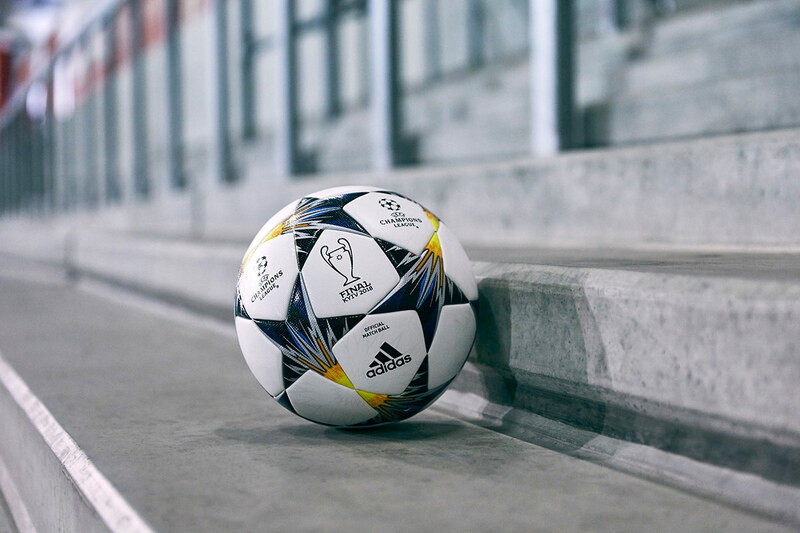 For more information visit Adidas Football.